‘Hold on to the Latvian language. Hold your reader in high regard and your path into the world will unfold,’ an advice to the young Latvian writers from the acclaimed writer Nora Ikstena – the Latvian writer, the author of the novel ‘Soviet Milk’ and other books (25 in total) published in more than 30 countries and languages. Her video story about the value and significance of literature is the first one in the series of the project ‘Library’. 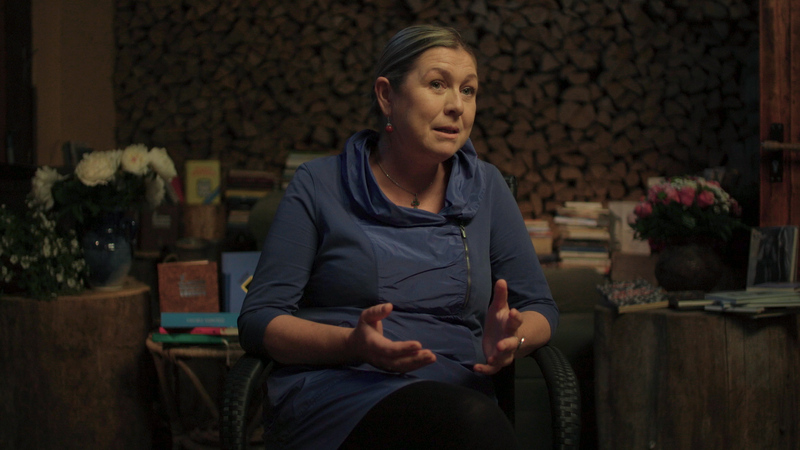 The story of Nora Ikstena’s relationships with literature will be the first to be revealed in the video series of the project ‘Library’ initiated by the Baltic International Bank. The Project envisages producing and sharing of 10 personal stories by Latvian literary life creators. In the coming months, more videos on the infinite topic of books and literature will follow by Zbigņevs Stankevičs, Andris Vilks, Kārina Pētersone, Valērijs Belokoņs, Uldis Bērziņš, Imants Lancmanis, Māris Bērziņš, Sanita Stinkule, and Vaira Vīķe-Freiberga. In the public campaign, every social network user is also invited to create their own story regarding the topic of libraries, and publish it in photo or video format on their social networking profiles using the hashtags #biblioteka and #manabiblioteka. Upon the beginning of the academic year the project ‘Library’ announces a competition for schools. Students are encouraged to create photo and video stories or write essays on the following topics regarding literature and libraries: ‘My favourite book in my school library’, ‘The world without printed books’, ‘A book with temper’. The provision for the competition will be published on the project website www.manabiblioteka.lv in the following weeks. The project ‘Library’ is carried out with the support of Baltic International Bank, a long-standing patron of Latvian literature. It encourages posting stories on the importance of literature in people’s lives, including stories about their personal libraries, the content, and their emotional and professional value. Latvian writers, and other activists of Latvian literary life have taken part in this project. The development of Latvian literature is one of the long-term public support endeavours of Baltic International Bank. Baltic International Bank has financially supported publishing of a range of literary works of significance to Latvian literature and culture. Being convinced that the foundation of every nation’s national identity lays in the knowledge of its culture and history, Baltic International Bank financially supports the publishing of books of national importance and the implementation of projects involving literature (for example, exhibitions, presenting the Annual Latvian Literary Award (LaLiGaBa)). More information on the project ‘Library’ website: www.manabiblioteka.lv and social networking profiles on Instagram, Facebook and Twitter.